The FitAmp™ Gel DNA Isolation Kit applies our proprietary lysis and binding buffer to a gel-DNA sample. After transferring the sample to the specifically designed F-Spin Column and wash with the washing buffer, the DNA is easily recovered in 8-20 µl with elution solution. Isolated DNA is ready for downstream application. Different sizes of DNA fragments in lanes 2 to 5 were successfully recovered from agarose using the FitAmp™ Gel DNA Isolation Kit. The FitAmp™ Gel DNA Isolation Kit is a complete set of essential components which enables the experimenter to efficiently isolate DNA from low melting point agarose gel. The entire procedure can be completed within 15 minutes and is suitable for direct use in the following applications: ligation/transformation, sequencing, restriction digestion, microarray analysis, labeling, microinjection, and in vitro transcription. Fast procedure (< 15 minutes). Recovery of ultra-pure DNA from agarose gel at high concentration in minimal volume. Use of proprietary binding solution without chaotropic or other irritant reagents. Fig. 1. The FitAmp™ Gel DNA Isolation Kit applies our proprietary lysis and binding buffer to a gel-DNA sample. After transferring the sample to the specifically designed F-Spin Column and wash with the washing buffer, the DNA is easily recovered in 8-20 µl with elution solution. Isolated DNA is ready for downstream application. Fig. 2. 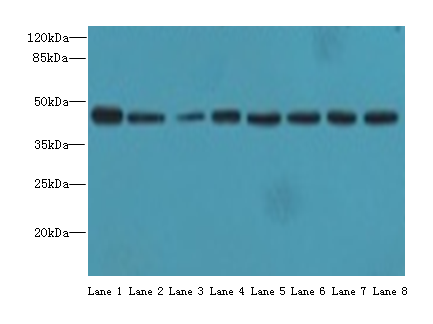 Different sizes of DNA fragments in lanes 2 to 5 were successfully recovered from agarose using the FitAmp™ Gel DNA Isolation Kit.